MIRAMAR – This year the Grace Jamaican Jerk Festival in South Florida will have one big added attraction. VP Records will bring their 35th anniversary, “Six Decades of Reggae Music,” exhibition to anchor a signature area that has affectionately become known as “Idler’s Rest Corner.” This 1,200 square foot exhibit chronicles the contribution of VP Records’ influence on reggae music from the late 1950s establishment of Randy’s Record Mart in Kingston, Jamaica by founders Vincent and Patricia Chin, to what has now become the largest reggae label in the world since the inception of VP Records in Jamaica Queens, New York in 1979. The highlight of the exposition is the interpretation of this journey by artist Michael “Freestylee” Thompson in a collection of banners that features his original artwork. These life size banners combine Michael’s unique style with photographic images of artists that have passed through the VP Records/Randy’s camp over a period of close to sixty years. Experiencing the energy that is produced by this synergy of art and reggae music is one not to be missed. A display of photographs by top “reggae photographers” compliments the collection of reggae music memorabilia and books that make up this exhibit. A small theatre featuring video highlights completes this eclectic trip through reggae’s past, to the present, and a little taste of the future. 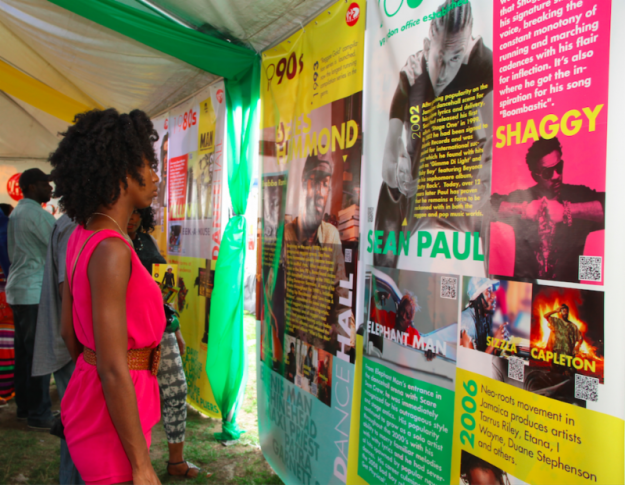 After visiting the exhibit, browse through the 400 square foot pop-up merchandise store where you can pick up the latest in reggae fashion and accessories from the VP Records’ lifestyle brand “Riddim Driven.” Browse artifacts, books, photographs and a large collection of CDs (including the artists performing on stage) and vinyl records (vintage and current). Then top off this experience by hanging in our “Idler’s Rest Corner” and listen to our guest DJs spin a selection of these same records. Don’t forget to request your favorite! This is the 13th edition of the Grace Jamaican Jerk Festival which will be held at Markham Park in Sunrise, Florida on Sunday November 9th 2014 from 10am to 10pm. 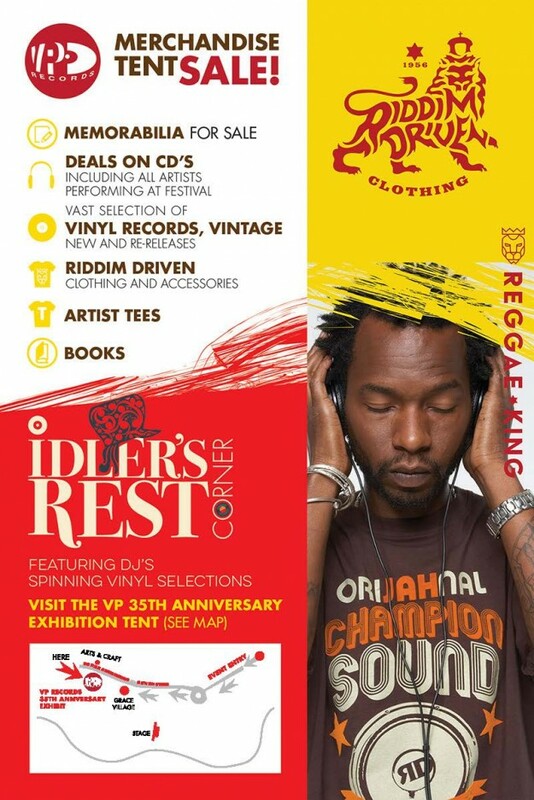 The VP Records Idler’s Rest and 35th Anniversary “Six Decades Of Music Exhibition is located just down the main strip from the Grace Village and just up from the Fusion Dancehall stage. Tickets are $22 in advance and $30 at the gate. Advance tickets are available at the VP Records Florida Retail Store, 6022 SW 21st Street, Miramar FL 33023. Special package available with a ticket, Duane Stephenson’ new CD Dangerously Roots and a t-shirt only $28 (while supplies last).